As one of the most trusted home improvement contractors in the region, Vinylume strives to be the best in the industry. Part of achieving that is by partnering with the leading manufacturers of topnotch products, such as GAF. Thickness – GAF’s newest ultra premium designer shingle is the thickest triple layer wood shake-look shingle you can buy. Glenwood shingles are essentially thicker than regular asphalt shingles, providing an aesthetically pleasing appearance. They combine the authentic beauty of natural wood shakes without their association hassles. Lower Maintenance – Although cedar shakes are popular because of their unique beauty, their low lifespan and high maintenance costs stop some homeowners from installing them. 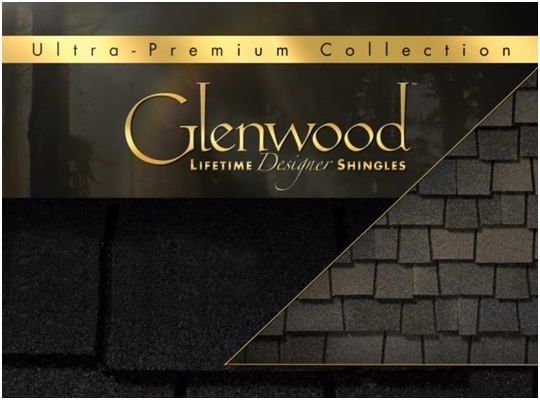 With Glenwood Lifetime Designer Shingles, you can get the beauty of cedar shakes and the durability you want for your roofing in Fairfield, CT. In addition, they come with strong warranties on both labor and materials. Algae Resistance – Algae and moss are also one of the common problems associated with cedar shakes. Glenwood shingles undergo our unique advanced protection shingle technology for excellent performance and protection. Additionally, its StainGuard protection helps ensure your roof’s beauty against unsightly blue-green algae. Beauty – Glenwood shingles are less susceptible to warping and damage versus natural untreated wood shakes. They come in six complementary colors: Adobe Clay, Autumn Harvest, Chelsea Gray, Dusty Gray, Golden Prairie and Weathered Wood. For your installation, trust only professional roofing contractors in White Plains, NY, to make the most of your investment. As a GAF Master Elite contractor, Vinylume is among the top 3% of roofers in the country. This makes us your best option for all your roofing problems. Give us a call at (866) 244-8029 or fill out our contact form to learn more about Glenwood shingles.